Things just keep getting worse for Monsanto: Not only has the biotech firm been found guilty of crimes against humanity by the International Monsanto Tribunal, the corporation has also recently been involved in a number of scandals. First, it came to light that the world’s most hated company had been colluding with the EPA, and now they’re being accused of yet another misdeed. 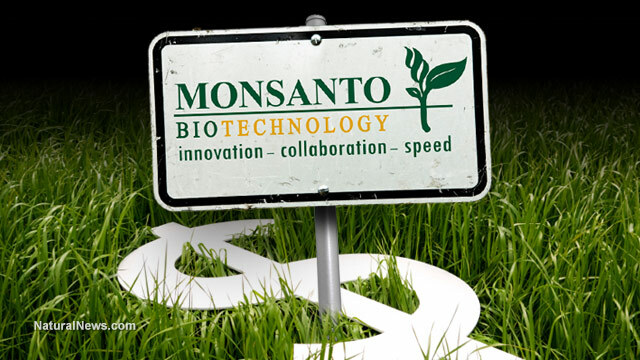 Monsanto quietly funnels money to “think tanks” such as the “Genetic Literacy Project” and the “American Council on Science and Health,” organizations intended to shame scientists and highlight information helpful to Monsanto and other chemical producers. For example, the American Council on Science and Health has recently published articles accusing the International Agency for Research on Cancer (IARC) of ignoring the “science” on glyphosate. The Genetic Literacy Project, led by exposed wife beater and former Forbes.com writer Jon Entine, has also published articles calling for the IARC to possibly be abolished and has even gone so far to accuse the US of “unwittingly funding” conspiracies against Monsanto. In addition to the emails and evidence of Monsanto’s collusion with government agencies and “think tank” organizations, there is also reason to believe that Monsanto has been hiring “trolls” to defend the company on the web — and to attack anyone who dares speak out against them. Evidence presented in the pretrials of Monsanto court cases at the US District Court in San Francisco has revealed that under their ever-so-aptly titled “Let Nothing Go” program, Monsanto reportedly hired individuals who appeared to have no relation to the company for the sole purpose of trolling the internet with positive comments, defend Monsanto, and praise their toxic chemicals and GMO crops. The goal of the “Let Nothing Go” program is “to leave nothing, not even Facebook comments, unanswered…” and the plaintiffs say that Monsanto has been targeting all forms of social media and other online materials under this initiative. Even comments on social networks that merely mention the potential hazards of things like glyphosate or genetically modified crops have been targeted by Monsanto’s trolls. Anti-GMO activists like Mike Adams, the Health Ranger, have been particularly susceptible to these attacks. Unsurprisingly, Adams has been a prime target for GMO trolls: The Genetic Literacy Project and other shills have published hit pieces on him and other activists — all with the goal of trying to discredit them and silence journalists who expose Monsanto’s nefarious operations.